Electrolic (US) see: Samples etc. ElectroSquad (Australia) see: Samples etc. Elektric Music (Germany) see: Samples etc. Elektroshock are routinely named as 'Italy's first punk band', but as expected, the Italians' idea of what constituted 'punk' differs markedly from the US/UK take on the term. 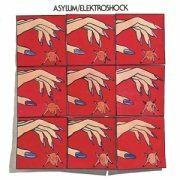 Their first album, 1978's Asylum, does, in fairness, feature a few tracks of basic, guitar-fuelled aggression, but overall, the standard of musicianship (and, crucially, songwriting) is far too high for real authenticity and since when did a ten-minute epic have anything to do with 'punk'? Then again, why not? Surely punk was about breaking down barriers, not setting up new ones? Ha bloody ha. Said epic, Blood Sacrifice, is the album's only obvious Mellotron track, too, with background choirs throughout from guitarist Giorgio Mastrosanti, adding an eerie, Goblinesque feel to the piece; I'd guess the lyrics are central to the track's theme, but I don't have enough (any, really) Italian to be able to tell. This isn't on CD, although I'd have thought it was worth one of the punk reissue labels' while to make an important piece of Europunk history available again. Then again, it sounds nothing like The Exploited, so I doubt whether anyone would be interested. So; sort-of interesting, but really not worth it for its Mellotron use. Element of Crime (Germany) see: Samples etc. Elephant Stone (Canada) see: Samples etc. 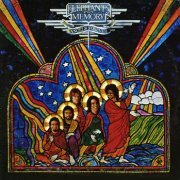 Elephant's Memory had several claims to fame, beginning with Carly Simon's brief membership of the band in 1968, then having two songs included on the soundtrack to Midnight Cowboy, for which they received a gold disc. They're mostly remembered now, though, for their work backing John Lennon and Yoko Ono on two albums and as their live band (a recording surfacing in the '80s), temporarily renamed the Plastic Ono Elephant's Memory Band. 1974's Angels Forever, their fourth album (of five), presumably references the Hell's Angels' 'Pirate Party' at which they played the previous year, immortalised in the Hell's Angels Forever documentary a decade later. The rocking Going To A Party is pretty decent, but overall, it's a rather dated collection of mainstream early '70s rock, bearing slight comparison in places with the likes of Chicago and Santana. Chris Robison plays Mellotron on two tracks, with strings on Running Man and First To See The Last Of Me, more obviously (and screechily) on the latter, a dodgy pseudo-reggae effort. This isn't on CD, for the good reason that this kind of stuff has little audience these days, sitting outside any of the obvious genres of the era that still have fanbases. Two OK Mellotron tracks, but really, nothing you can't live without. Eleventh Dream Day (US) see: Samples etc. Elisa (Toffoli) is an Italian singer-songwriter of the insipid variety, 2004's Pearl Days being her fifth release in seven years. It's pretty dull pop/rock fare, frankly, although rocky opener Together is about the best thing here, leaving drippy closers The Waves and Life Goes On as the worst. Benmont Tench (of Tom Petty's Heartbreakers, of course) plays Chamberlin, with what sounds like occasional strings on Written In Your Eyes and cellos on City Lights, although the album's other string parts sound real. Then again, with a Chamberlin, anything's possible... Funnily enough, although Tench isn't actually credited with Chamby on the album, he is on 2008's Dancing, a compilation of tracks (some remixed) from Elisa's four previous albums, City Lights being the common factor between the two. Anyway, you're unlikely to want to hear this, while I don't particularly feel the need to hear it again, minor Chamberlin use or not. Elizabeth & the Catapult (US) see: Samples etc. Carrie Elkin (US) see: Samples etc. I suppose Elkin & Nelson should really be categorised as Colombian, not Spanish, as they emigrated to the latter country from the former in the early '70s. The Marin Pérez (or Velez) brothers, Javier (Elkin) and Leon (Nelson) specialised, unsurprisingly, in a potent form of Latin pop, bringing Spanish music back home, after filtering it through their South American heritage. They debuted with 1973's Elkin & Nelson, a single album almost long enough to be a double. Imagine a poppier Santana without the distinctive guitar work and you won't be a million miles off, although the duo are unlikely to appeal to those looking for a Latin/rock fusion. Better tracks include opener Samba Samba, the Carnavalito/Al Carnaval segue and possibly their very odd take on Light My Fire, a song with a slightly dishonourable history of weird versions. Eduardo Leiva plays keyboards, including Mellotron, with a sparse string part on A Caballo and flutes and strings on Carnavalito 1, Al Carnaval and Carnavalito 2. 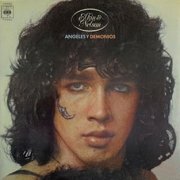 The following year's Angeles y Demonios (please don't tell me you can't work that one out) was a double album almost short enough to be a single, not dissimilar to its predecessor, though nearer to the pop mainstream. Its big hit, Jibaro, had a resurgence decades later, finding itself eminently sampleable, which might give you some idea of the album's bent. Leiva on Mellotron again, with flutes and strings on Simón, alongside real cello (and strings? ), choirs on Cuándo Llegaré, Tema De Amor, El Maniquí, Ain't No Sunshine and closer Los Invitamos, although most of the album's strings are synth-generated. 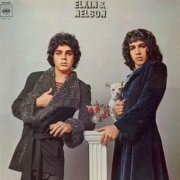 While Elkin & Nelson might just be worth investigating by Santana fans, Angeles y Demonios really isn't, although both albums feature passable Mellotron use. File under 'second division Latin'. 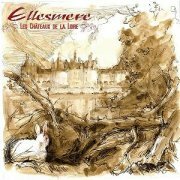 Ellesmere are Italian prog outfit Taproban's Roberto Vitelli's side-project, whose 2015 debut, Les Chateaux de la Loire, is a conscious attempt to write an album that could sit somewhere between early Genesis and Anthony Phillips' acoustic records. And...? By its very nature, it could never be that original, but, working under those constraints, it's a complete success, layers of acoustic guitar, Mellotron and flute creating a beautiful, pastoral album that sticks it to the baying mob of prog-metal types, albeit very quietly. Ant Phillips himself narrates Alfred Austin's opening and closing poems, while John Hackett's flute is present on almost every track, alongside recorded birdsong and Vitelli's classical and 12-string guitars. While no one track stands out as being obviously superior to everything else, the second 'bonus' (i.e. not actually part of the Loire concept), Wintry Afternoon, is an excellent piano piece, played by Paolo Carnelli. Fabio Bonuglia is credited with 'Mellotron M400', and while it often sounds a little on the smooth side, perhaps the unknown owner simply keeps his machine well-maintained? Anyway, it's on almost everything here, with strings on all highlighted tracks, plus unimaginatively-arranged choir on Sully-Sur-Loire, cellos in the second half of Chambord and choirs on The Ancient Samovar, although the strings on Wintry Afternoon appear to be orchestral samples. But what about that F# on Meung-Sur-Loire... Downtuned? (The lowest note on the Mellotron is G). Presumably. Anyway, I think Vitelli can consider this a mini-triumph. Beautiful. 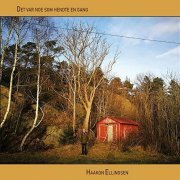 Haakon Ellingsen (ex-The Last James) has been ploughing his own musical furrow since the turn of the millennium, 2018's Det Var Noe Som Hendte en Gang being (to my knowledge) his sixth solo album. Highlights of this gentle, folky set include the beautiful Blåbær, Vepsestikk Og Humlesus and Krokodilletær, although I'm not sure whether plinky, low-fi closer På Havets Bunn Står Skutene was worth the effort. Paul Ellis (US) see: Samples etc. Rick Ellis (US) see: Samples etc. Tinsley Ellis (US) see: Samples etc. 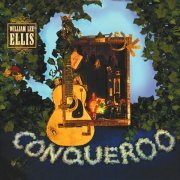 William Lee Ellis is an American folk/blues singer/guitarist/songwriter, playing a style pre-dating anything you might care to think of as 'country'. Heavily influenced by the Reverend Gary Davis, Ellis is actually a trained classical player, applying his ferocious technique to an utterly different field with aplomb. His fourth album, 2002's Conqueroo is best described as sparse, acoustic blues, highlights including How The Mighty Have Fallen, Northern Lights, bottleneck-fest Rider On Your Soul and his reimagining of Chuck Berry's Maybellene. Rick Steff plays Mellotron, with dirty cellos on Northern Lights that sound like they might actually emanate from a genuine machine. It's good to know that young(er) musicians are still making music like this, not least because pretty much all the original practitioners have died off. Recommended. Elmi (Norway) see: Samples etc. 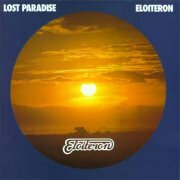 Eloiteron's sole album is probably fairly typical for 1980, being a sort-of progressive release, but with shorter, more straightforward material, although, interestingly, most of it's instrumental (thankfully - the vocals aren't very good...). Some of the tracks are more adventurous than others, with Homage À 'M' having a particularly good part before sliding back into a rather standard chord sequence. One oddity on the album is the (real) solo trumpet, which is most unusual in the genre, and is one of the things, along with the excellent piano work, that lifts this above the mundanity to which it sometimes aspires. Martin and Christian Frey both play the 'Tron, apparently, but do no more than add choirs to a few tracks, sometimes more overtly than others (Octopus has a nice part), until you get to the album's longest track, closer Old Man's Voice, with a beautiful string part, although I'm fairly certain the flute section on the intro is a double-tracked real one. String synth on a few tracks, but where you can hear it properly (Octopus again), it quite clearly isn't 'Tron. So; you're not going to find this easily, to say the least, and it probably isn't the most scintillating Mellotron use ever, although should you run into a copy for sensible money, it's probably worth the effort. 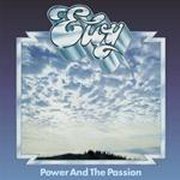 During the '70s, Eloy were Germany's most popular progressive band, and (to my knowledge) the only one signed to a major label, EMI/Harvest. Predictably, given the circumstances, Eloy aren't the most exciting of bands, and frequently give the impression of wanting to be Pink Floyd so badly it hurts. Unfortunately, while they got the 'long sustained chords' bit right, the 'great songs' part went a bit awry somewhere; not that I'm saying they're bad, just... average. Songs often meander along for anything up to a side of vinyl without going anywhere in particular, although they're a perfectly pleasant listen, especially (I imagine) if you've been partaking of, er, 'recreational substances' (see below). Do me a bleeding favour! Christ Almighty, what a ludicrous concept; I'm sure the mediæval bæbe in question would be perfectly au fait with the techniques of smoking. Not. I suppose a lyric along the lines of 'Stop drooling on it and coughing so loudly' wouldn't have the same impact, would it? Er... anyway; back to the topic in question: Mellotrons! Well, Manfred Wieczorke is credited with playing one, although there's no mention of the string synth splattered all over the album. There's no sign of any 'Tron anywhere, so I'd approach this one with caution on several levels. 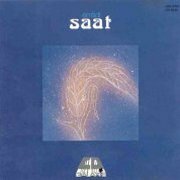 By '76's Dawn, the keyboards were being handled by Detlev Schmidtchen, and there's a few 'Tron choir chords towards the end of side one. The music's in the same general vein as its predecessor, although maybe slightly more dynamic; there's an orchestra involved this time, as well as Schmidtchen's RMI Keyboard Computer, so all strings tend to be either of these or, of course, the trusty unnamed string machine. Actually, the choir sound doesn't really match the usual Mellotron library ones, so it's possible that it's produced by the RMI as well; difficult to say. 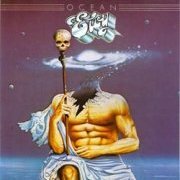 Ocean has the makings of a better album; on Poseidon's Creation they get their Floyd pastiche just right, but it all falls to pieces by the near side-long Atlantis' Agony On Sunday, Round About Teatime or whatever it's called, which is based on a two-chord drone, but without any of the stuff that made the best Krautrock work so well. There is, once again, no sign of the credited Mellotron, making me wonder if they had any idea what one was. Too many drugs. It's perfectly possible that they used one on '78's Live (***), but if so, it's no more audible than on Ocean; there's a few tiny pics of the band on stage, but no close-ups of the keyboard rig. So... As Mellotron albums, these are all complete disasters, with only a few chords on Dawn to boast of. Musically, they're OK if you want to hear Floyd-y stuff without the songs, with badly-accented vocals and extra added drone. Not awful, but a long, long way from 'special'. Elroy (US) see: Samples etc. Soul, Inc(orporated)	were a Louisville, KY, psych/r'n'b outfit who released a clutch of singles during the latter half of the '60s, three members of whom formed Elysian Field upon the original band's dissolution. Although the new band only released two singles during their 'lifetime', they did plenty of recording, the entire results of which were finally released by Gear Fab in 2000, simply titled Elysian Field. As you'd expect, it's a pretty mixed bag, the four single sides being pretty cheesy pop, as their record company would've expected, but a good bit of the rest actually rocks, not least proto-grunge opener Mother Hate and I Hate You (is there a theme developing here?). Rudy Helm is credited with Mellotron, with fairly upfront string parts on Keep Her, Canada, Let The Music Take You Down, Man On Fire and Sundown Red (with a particularly effective part on the last-named) presumably all from the same, late-period session or group of sessions, although the strings on various earlier tracks are clearly real. So; something of the proverbial curate's egg, although probably over half of the disc will appeal to fans of early '70s mainstream American rock. 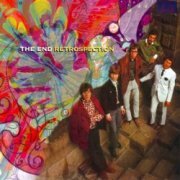 More Mellotron than expected, too, so certainly worth hearing on that front. Incidentally, one of the lesser players on the set is none other than guitarist Mark Miceli, later of unsung US prog heroes Easter Island. 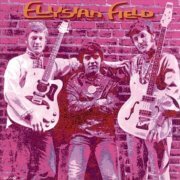 Elysian Fields (US) see: Samples etc. There's a pretty easy test you can take to determine whether or not you're going to like Embrace: Do you like music?. Er. sorry, that was meant to read: Do you like Travis? Or Coldplay? I would say Elbow, but shockingly, that insipid outfit are actually dynamic in comparison... 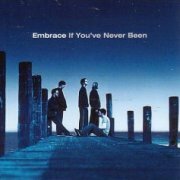 Embrace's debut, The Good Will Out, hit no.1 in the UK album charts, probably giving them a false sense of security, although despite a subsequent career lull, they still seem to be doing OK a decade later. They operate in that wussy pop/rock kind of area popular with people who just like something nice and uplifting with just a hint of melancholy in the background - something that doesn't actually require any thought or emotional involvement. Mainstream pop - yeah, that'll be it. Overblown, pompous arrangements, meaningless, 'positive' lyrics, vaguely involving relationships; you know the stuff. Not quite "Music for people who don't like music" (that's Simply Red), but bleedin' close. There's very little I can think of to say about their third release, If You've Never Been, as it's so emotionally unengaging that it just washes over me, which is probably the point. God, this is almost the anti-music, isn't it? If there was a word meaning 'beyond bland', it would describe this perfectly. There's no point quoting any song titles, as they basically all sound the same, and are entirely interchangeable. I remember their official site used to have some studio pics from the sessions for this album, in one of which was an M400, so it seems that the little identifiable Mellotron on the album is real. Keys man Mickey Dale seems to have very little to do in the studio, as most of the songs' chordal backdrop is provided by acoustic guitar and orchestral strings (although there's some nice harmonium on Happiness Will Get You In The End), but the Mellotron's clearly audible on I Hope You're Happy Now (suitably wobbly strings at the end), assuming it's Dale that plays it, and not guitarist and co-writer Richard McNamara. As so often with this type of album, it's possible there's more of that 'Tron in there (I thought I heard some choirs at one point), but the sludgy throw-everything-in mix makes it impossible to tell for sure. This is a painfully awful album, and I sincerely hope that you, dear reader, never have to suffer as I have, listening to (or rather, hearing) 47.56 of this blandola tedium. Then again, maybe you like dullsville rubbish that washes over you? What do I know? And who am I to say this is rubbish anyway? It's perfectly well-played, the songs all hang together, but it's so dull. Practically no Mellotron either. What's the point? As an odd postscript, I was sitting at the ferry port in Calais, waiting to go home after Änglagård's final gig in Belgium in August 2003, with my Mellotron sitting in the back of my van, when I got a call on my mobile from Embrace's production office asking if they could hire it (the Mellotron, not the van) for the recording of their next album. Weird or what? I think they found a pic on my brother's studio's site and rang them for my number. Needless to say, the hire never happened, despite my chasing it up, so although I missed out on some income, at least my M400 never had to play this kind of anodyne crap. The album in question was no doubt 2004's Out of Nothing, and I don't believe there's any 'Tron on the record. 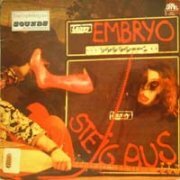 Embryo's second effort, Embryo's Rache, is a fairly typical early-'70s German freakout album, sitting (un)comfortably alongside other Kraut heroes such as Amon Düül II, Witthüser & Westrupp et al.. The occasional lyrics are the usual stoned idiocy ("Revolution is the only way" etc. ), but I suppose that may be missing the point somewhat. Listening to this 'straight' is a slightly futile experience, to be honest; an awful lot of drugs were consumed during its conception, and it seems a little pointless to attempt to appreciate it without indulging in a similar fashion. I can't really pick out any highlights as such, although the few moments where the band slot into a pseudo-Van der Graaf groove are worth hearing. James 'Jimi' Jackson, from Amon Düül II plays Mellotron on three tracks; Revenge and the lengthy Spain Yes, Franco Finished feature mainly brass block chords, with little bits of flute here and there, but Change has a heavy 'Tron strings presence, although I think the flutes may be real. 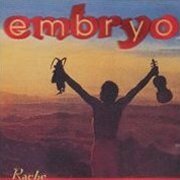 Embryo's Rache is a lot more 'Tronically inclined than I'd expected, so although some of the music's rather hard going, a cautious recommendation on the 'Tron front. No 'Tron on the follow-up, Father, Son and Holy Ghost, but it's back on album no.4, Steig Aus, played by Jimi Jackson again. The band's future proto-world music direction is apparent on the muezzin's call at the beginning of Radio Marrakesch/Orient Express, before the track shifts into a heavy funk jam, like Funkadelic on overdrive. After the slightly more relaxed Dreaming Girls, the side-long multi-part Call is more reminiscent of the opening track, being another organ-heavy instrumental jam, though maybe fractionally less funky. Jackson's 'Tron work consists of thick, sludgy brass chords on the first and last tracks (pretty much all the way through Call), and more arranged brass on Dreaming Girls, making an interesting change from the more commonly-heard sounds. 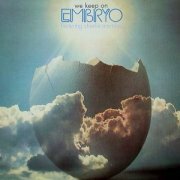 After another gap ('73's Rocksession, which sounds like it should be a bad compilation, but isn't), Embryo delivered their next to last 'Tron album in their second release of '73, We Keep on. A collaboration with veteran jazz saxophonist Charlie Mariano, it seems to me to be less cohesive than it predecessors, though that could simply be a result of their evolving style. Several of the tracks have vocals, although it's actually hard to tell whether they're being sung in German or English much of the time (! ); suffice to say (at least to my ears), the band worked better instrumentally. For some unfathomable reason, the bonus-tracked CD has a completely different running order to the original album, so the order above is the original, with the bonus tracks added on (they're last on the CD, too). One 'Tron track on the original album, from drummer/main man Christian Burchard: Don't Come Tomorrow has a drifting strings part with little chord work, while one of the CD bonus tracks, the lengthy Ticket To India, has, er, a drifting strings part with little chord work. Quite nice, but inessential. 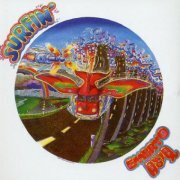 Surfin' shows the band's new direction very clearly indeed, being a jazz/funk/psych record, with barely a hint of 'progressiveness', although, of course, the band were actually progressing at a rate of knots; 'cosmic proto-World music' would be an adequate description, I think. I can't actually say I'm very keen on this stuff, personally, but I'm sure it fills a much-needed void. Very little Mellotron, with a bit of cello at the beginning of Secret and the same in closer Side Track, though barely enough to make it worth their while, to be honest. So; if you're into your Krautrock, and you haven't already discovered Embryo, you need to. Conversely, I'm not sure there's much here for your typical prog fan, although some of the Mellotron work is worth hearing. Caro Emerald (Netherlands) see: Samples etc. 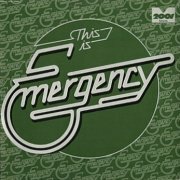 Munich's Emergency are one of the many early-'70s German bands to get themselves lumped in with the Krautrock crowd, while being absolutely nothing of the sort. Going by their third album, Get Out to the Country (a.k.a. 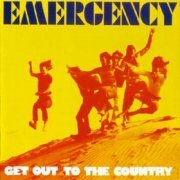 This is Emergency, oddly), they played a funky kind of pop/rock, with jazz and progressive elements here and there (the sax solo on Take My Hand, the Moody Blues-isms of Early In The Morning, parts of 12-minute closer Get Out To The Country). Veit Marvos and Hanus Berka both add a bit of Mellotron to the mix, with string parts on I Know What's Wrong and (fittingly) the aforementioned Early In The Morning, though nothing groundbreaking, sadly. No Compromise, their fourth and last album, is an odd mixture of cool jammed-out stuff (Time Can't Take It Away, with its great descending jazzy unison line) and tedious, funkyish material (From Here To New York City, Hideaway), and sometimes both in the same piece (the title track) making for the proverbial curate's egg. Berka plays Mellotron on a couple of tracks, with quite overt string lines on From Here To New York City and No Compromise itself, although we're not exactly talking outstanding use here, to be honest. So; OK album with a handful of blistering moments, but fairly minimal 'Tron. So; to Emergency or not to Emergency? I'd say not, on balance, although those with a yen for vaguely jazzy German rock may like the odd track here and there. Passable Mellotron work, but don't bother buying these for that alone. Well, they had to get in here eventually, didn't they? This review is actually the only survivor from the now-deprecated 'Possibles' page to make it to the main part of the site, even though the album in question most likely contains no Mellotron whatsoever. Regular readers of this site may possibly have gleaned that I'm not ELP's biggest fan; along with Yes (possibly unfairly in the case of the latter), they're chiefly responsible for the terrible name prog's had ever since punk, now receding into the middle distance. In ELP's case I can actually see their detractors' point; the sainted John Peel, upon seeing their first gig at the 1970 Isle of Wight Festival (start as you mean to go on, eh? ), brilliantly described them as, "A tragic waste of talent and electricity", although the band have had the last laugh by outliving him (although not by much). I've also heard them called 'the nouveaux riche of prog': brash, tasteless show-offs who just have to fling their raw talent around without a thought for where it might land or what harm it might do. Of course, millions of you will strongly disagree with me; you're entitled, just as I'm entitled to my somewhat heretical view, in the eyes of the prog faithful. Do I actually like anything about them at all? Yes, actually; I love the whole of Pictures at an Exhibition, Fanfare For The Common Man, bits of Karn Evil 9, Knife Edge, a couple of other things. See a pattern emerging? Karn Evil aside, they're all reworkings of classical pieces, which tells you all you need to know about my views on their actual compositional skills, or perceived lack of same. 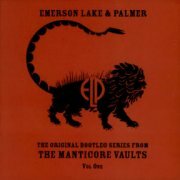 I like Greg Lake's voice on a good day (after all, he's the voice of the first two King Crimson albums), while I have a sneaking admiration for their sheer chutzpah, although said admiration wears appallingly thin when Emerson starts throwing those bloody fourths around, not to mention his Hammond. Speaking of which, I'm not too keen on the tone he gets out of it, but that's my problem, not his. "I refuse to play a Mellotron on the grounds that it just doesn't agree with my principles. Because another violinist has had to come in to tape record it and what you're playing is a tape recording - I refuse to play a Mellotron under those situations. Greg has a Mellotron--I don't mind him playing it." Contrary to common belief, Keith once owned a Mellotron. But it was never used conventionally. 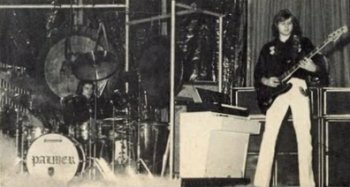 Keith picks up the story... "After we recorded Trilogy (1972), we wanted to perform the album on stage, but Abaddon's Bolero was a hugely complex track with loads of Moog synthesizer overdubs and it was quite impossible to play it live. So we sampled complete phrases off the 16-track onto a Mellotron, which Greg could play using bass pedals. This still wasn't enough, so we also hooked up a Revox tape recorder and arranged the track around that. Unfortunately, the second time we tried it in front of an audience, the Revox ground to a halt and so did Carl, Greg and myself. We ended up having a huge argument backstage, the result of which was that we never attempted the Bolero again. I would have trashed the Mellotron, but I gave it to Greg instead. I've no idea where it is now." Now, parts of that tale don't hang together too well: playing a Mellotron via bass pedals? A Chamberlin remote, maybe, but the pic clearly shows an M400. Anyway, this 'two gigs only' thing makes it most unlikely that any recordings survive. Doesn't it? However, in 2001, the band elected to release a seven-disc set entitled (deep breath) The Original Bootleg Series From the Manticore Vaults Vol One, a severely cheapskate way to make a bit of moolah by selling their fans copies of better-known bootlegs, not even tidied up in the studio. At least Crimson and Zappa did some work on their dodgy recordings... Cheeky or what? Anyway, the first volume (they're up to four so far) contained four different boots, one of which, originally titled The Iridescent Concubine by some drug fiend, is a 1972 recording featuring... Abaddon's Bolero. 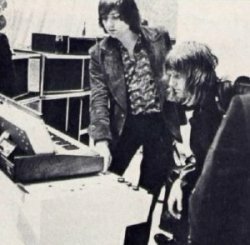 Now, given its absence from another boot from the set, does that mean that the band accidentally hit the holy grail of ELP Mellotron-spotters? Is this actually one of those two legendary (around here, anyway) gigs, or has Emo lost his marbles and they actually tackled a simplified version on other nights? Were it not for that pic (apologies to whoever I ripped it off from, incidentally, whoever you are), I'd seriously doubt the veracity of the whole story, but when you actually see Greg with that set-up behind him, things begin to fall into place. Incidentally, the gig dates from before the album's release (April 21st, at Louisville Town Hall, Kentucky, to be exact, some boots actually titled Abaddon's Bolero), so maybe the whole thing's complete pie in the sky and they just tackled it as best they could, the Mellotron story dating from later that year. A good bootleg listings site tells me that they played the full-length piece (as against a truncated version played the following year) at Brighton that November, so maybe the story originates there? If I get to hear that one, I'll come back and let you know. Anyway, er, what's the rest of the set like? 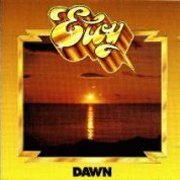 It's what I take to be a typical ELP set from that year, the band already playing a handful of ludicrously overlong tracks with a few 'shorter' ones in between, disc two (the last four tracks) being rather more interesting to my good self than the first half. Pictures is under half its original length, keeping most of the good bits, although one casualty is Lake's acoustic ballad, The Sage. Stop laughing. Yes, you. Abaddon's Bolero itself is excellent, although Rondo (which they had the cheek to credit to themselves; I don't know if Dave Brubeck's opinion was ever recorded) is over twenty minutes of public masturbation, which is just plain bad manners, basically. 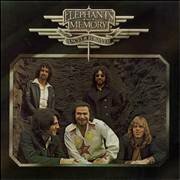 So; there's only one reason to buy this: you're already a huge ELP fan and have to have more. There are no other reasons. These two discs are, at best, average audience recordings, idiotic crowd remarks intact, containing nothing that you can't hear in considerably better quality on the band's regular studio and live releases. Is that missing the point? Probably, especially considering that I own a good few, er, 'unofficial' recordings by artists I actually like, but you'll have to be pretty dedicated to bother trawling through this. Does it contain any Mellotron? Unknown. Perhaps I'll find out for certain one day? Or perhaps I won't. [A few years later] More news! 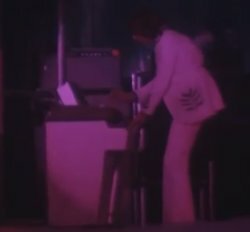 Here's a still from a YouTube vid (right) that is quite indisputable proof that Greg played Mellotron on stage, at least briefly. Someone's synched up a bootleg recording of Abaddon's Bolero from, I believe, Zürich's Hallenstadion on April 15th 1973 with some single-camera colour footage, possibly shot by a local TV station. He appears to be playing single notes on the familiar strings (so much for the 'pre-recorded phrases'), with bass notes on the MiniMoog sitting on top. And given their usual excessive expenditure, was it really asking too much to put the whole lot on a low riser, so Greg didn't have to risk backache while playing? Anyway, this gig doesn't appear to've been made officially available, so until/unless it is, this lengthy screed will have to stay here. Eminem (US) see: Samples etc. Emma's Imagination (UK) see: Samples etc. Gert Emmens (& Ruud Heij) (Netherlands) see: Samples etc. Emmerhoff & the Melancholy Babies (Norway) see: Samples etc. Val Emmich (US) see: Samples etc. Empire were ex-Yes Peter Banks' post-Flash outfit, featuring his then-partner, Sydney Foxx (her real name, surely?) on vocals. For all the usual irritating reasons, they couldn't get a deal at the time, and despite recording a fair bit of material over a several-year period, the tapes sat in a drawer for twenty years before One Way gave them a belated release, splitting them into three 'themed' discs, depending on lineup and era. Mark I opens with the killer Yesalike Out Of Our Hands (presumably written for Flash but unrecorded), sounding like a cross between Yes and The Yes Album, with other better tracks including the twelve-minute Common Ground and Sky At Night, although it's a bit of a curate's egg, with tracks like the insipid For A Lifetime or the countryish Hear My Voice On The Radio letting the side down slightly. Mellotron from either Banks or Jakob Magnusson on a few tracks, with flute and string parts on the semi-balladic More Than Words and the even more balladic For A Lifetime, with strings and cellos on Shooting Star (probably on the second part, Common Ground) and occasional flutes and strings on the closing epic, Sky At Night. Overall, then, a pretty good archive release, with a couple of lesser tracks; that's why programmable CD was invented, folks... Plenty of Mellotron, too, so this is probably worth the effort should you run into a copy. Empire (US) see: Samples etc. 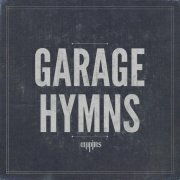 Chicagoans Empires play a kind of garage/punk/indie crossover on their second album, 2012's Garage Hymns, with something of a Springsteen influence, of all things, discernible on Night Is Young and Hard Times. Other better tracks include murky opener Can't Steal Your Heart Away, the borderline-punk of Keep It Steady and Hell's Heroes, proving the old adage that you should put your best material on side one. Wil Masisak guests on additional keyboards, including his own M400 on We Lost Magic (thanks for the info, Wil), although his description of it as being 'way down in the mix' isn't wrong. Actually, 'inaudible' would be a better word. Why get someone in to play Mellotron on your album, then mix it down to inaudibility? Weird. Anyway, not bad, not great, just the right side of indie, no obvious Mellotron. Empty Days (Italy) see: Samples etc. Empyrium (Germany) see: Samples etc. I don't know much about Emtidi, but they strongly remind me in places of early Pink Floyd, particularly on Touch The Sun, although all the organ work has that 'Rick Wrightness' about it. Male and/or female vocals, acoustic guitar, spacey keys; yup, it's Krautrock, albeit the folk end of it. Definitely an, er, 'late night listen'; it doesn't make much sense straight, to be honest. Dolly Holmes plays Mellotron on Touch The Sun (although Dieter Dierks is credited with 'help with Mellotron'), and apart from some very background strings and (possibly) choir, that's it, really. A fairly good laid-back sort of stoner folk album, then, with minimal Mellotron presence. Enchant (US) see: Samples etc. The End are known, if at all, for Bill Wyman's patronage; the bonus tracks on the CD of 1969's Introspection were recorded during the sessions for Their Satanic Majesties Request and have apparently turned up on Stones bootlegs, despite sounding nothing like them. It was the only album they released during their career, a fairly normal psych effort, albeit a little late in the day, even though it was recorded in late '67. It's oddest feature is the handful of spoken-word tracks, including Bromley Common and Linen Draper, featuring some old cockney talking about his lifestyle; it sounds like someone's family friend, making for an interesting diversion, if nothing else. The material is mixed in both style and quality; you can sort of see why this didn't really take off, as by then the listening public had moved on from the English whimsy of harpsichord-driven tracks like Loving, Sacred Loving (more's the pity). Mellotron on one track, with a lovely flute part on Cardboard Watch from Nicky Graham, also featured (before the album's release) on a Spanish film, Al Escondite Ingle's, which received a bit of UK publicity at the time. The band split soon after its release, morphing into the more rocking Tucky Buzzard, although never really breaking through. 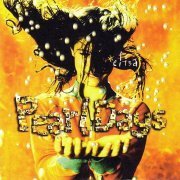 1997's Retrospection consists of outtakes from Introspection and other material recorded over the same period, although it lacks the original album's charm, for some reason. Don't get me wrong; it's not a bad record, but while psych fans probably need to hear Introspection, this is rather less essential. One Mellotron track, again, with strings and brass (Nicky Graham again?) on We Have Got It Made, although not worth buying for that reason. 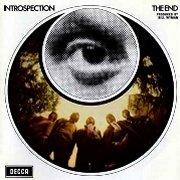 Introspection is a good, if not outstanding album, its unfashionability neutered by time, while Retrospection is a decent enough collection for the faithful. One reasonable Mellotron track each, but not enough to make them worth the effort for that alone.